Strength and balance, Strong, Straight & Steady and improving Mind and Body were some of the key messages given to our south London delegates who attended the Health Innovation Network’s Falls Prevention and Mildly Frail Older Adults workshop on Wednesday 18 October. Delegates from health and social care, voluntary and leisure sectors heard how falls in older adults are really common. One third of people over 65 years of age will fall. 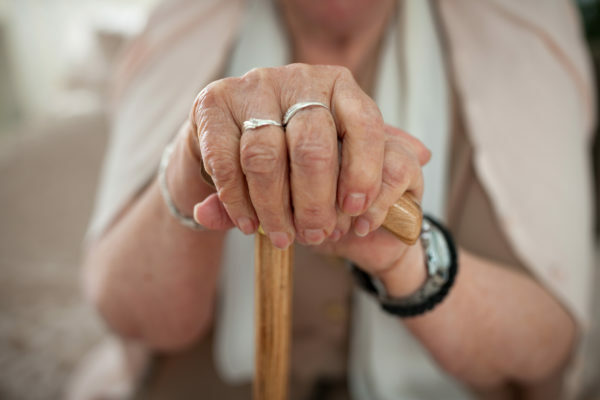 These falls may cause a serious injury such as a broken hip or head injury which requires hospital treatment, but most falls go undetected and unreported but are likely to contribute to the individual’s confidence; ultimately, leading to social isolation and yet more serious falls. Some falls are “just” an accident, but for others a fall is caused by early changes, such as worsening balance, vision or dizziness that can be improved. There is an established evidence base for the exercise and interventions that can really make a significant difference for strength and balance. Public Health England will be publishing a return on investment study later this year to evidence the cost savings of the interventions. Bone health is crucial to the falls prevention agenda and the National Osteoporosis Society are also due to publish evidence on beneficial exercise for people with Osteoporosis late 2018/19. Speeding up the spread and adoption of evidenced good practice is a key mission for the Health Innovation Network and our event showcased the brilliant examples that exist in south London , including embedding vision tests in Falls Prevention services, reducing waiting times through innovative triage, sustaining exercise, video games, digital physio prescribing, allotments and gardening, London Ambulance and Fire Service initiatives. Finally, do download Age UK staying steady booklet and all become ambassadors for the Strength and Balance message. Are you or do you know someone over 65 who has had a fall or has a fear of falling? Check your balance – are you feeling more unsteady? Is it getting more difficult to do everyday tasks? If you are unsteady you can get better by exercising. This involves doing simple strength and balance exercises (mostly standing) for about 20 mins two or three times a week or more which reduces falls by 30% and will give you confidence to go out of doors again and live life. Follow #StrengthAndBalance on Twitter or our watch our video for all the highlights from the event.